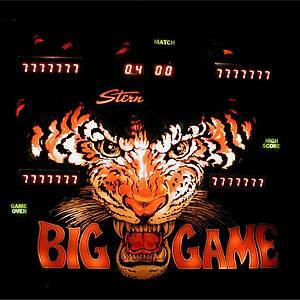 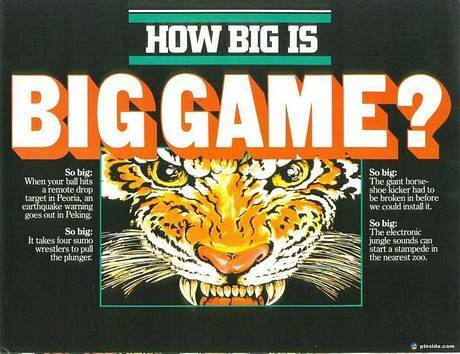 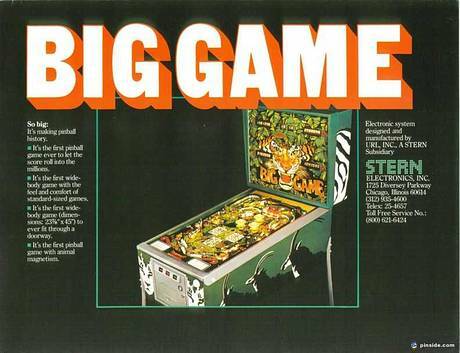 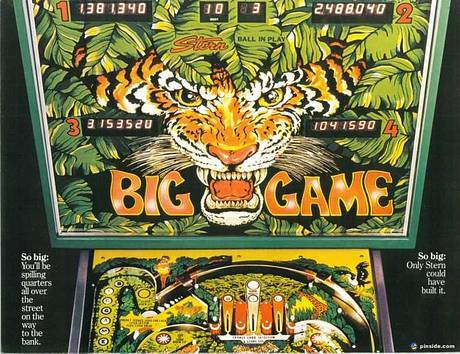 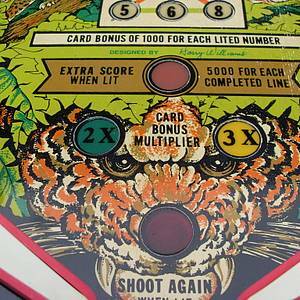 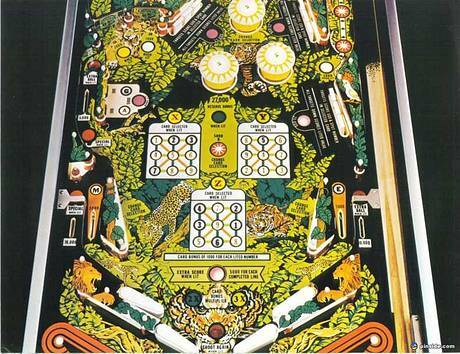 Big Game is a pinball machine from March 1980, manufactured by Stern Electronics, Inc.
"So big: when your ball hits a remote drop target in Peoria, an earthquake warning goes out in Peking." 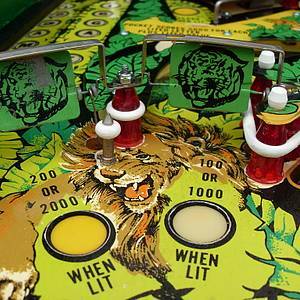 This game has received 46 approved Pinsider ratings and currently has a rating of 7.289 out of 10. 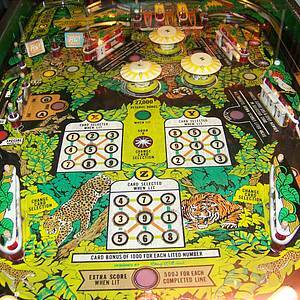 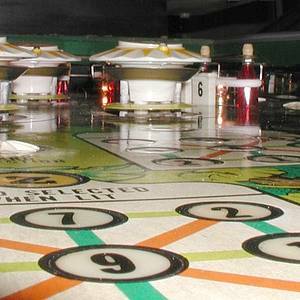 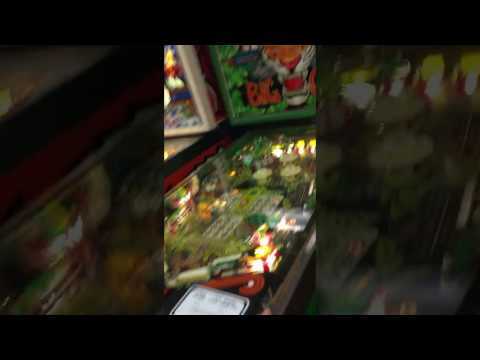 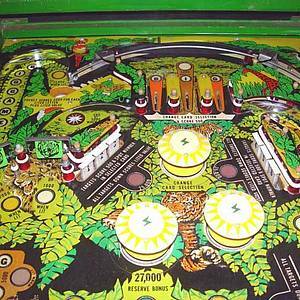 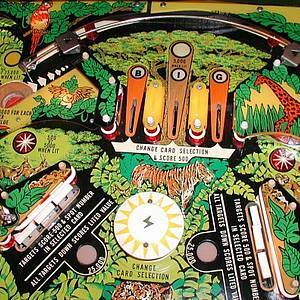 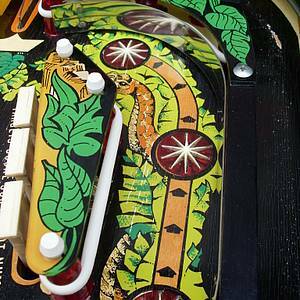 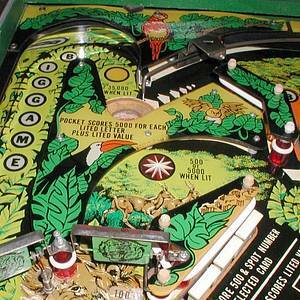 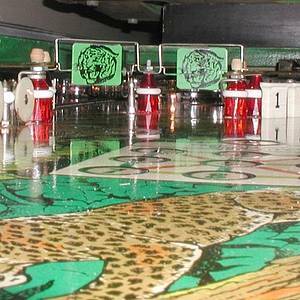 This game ranks #192 in the Pinside Pinball Top 100. 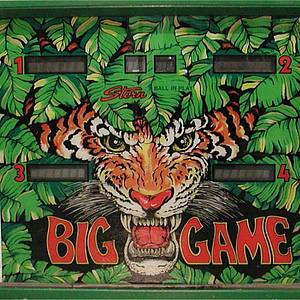 93 Pinsiders have this game in their collections. 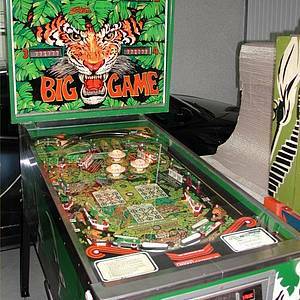 Big Game Club - The Safari has started!